With Valentine’s Day just around the corner, we turned to chef Elliot Cusher for an indulgent Italian supper, best served by candlelight. 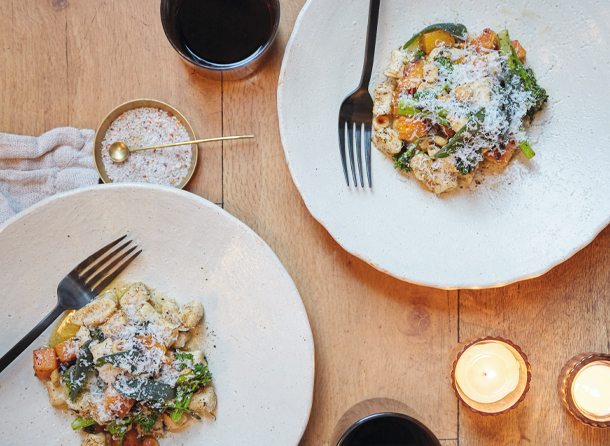 Italy may be his muse at Indaco, but his plates shine with South Carolina produce, like the locally grown butternut squash and broccoli rabe in this homemade meal. To get the chef’s kitchen tips, click here.